At California-based Pacific Investment Research, we serve individuals and couples 55 and over. 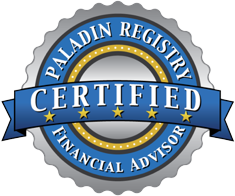 We specialize in personal retirement planning and investment management, and don’t seek corporate or institutional clients. This way, you won’t be given short shrift. Instead, we concentrate on providing custom tailored solutions for people like you who we understand best. We have a minimum investment of $250,000. When you’re over 55 and in the later stages of your career, you want to start to seriously plan for your retirement and avoid any costly mistakes. We can help you determine when you will be able to comfortably retire according to your lifestyle goals. We can also help you determine what life, disability, or long term care insurance policies to retain or purchase. Since we don’t sell insurance, we can help you make sure you’re not overpaying for coverage you don’t need. At this stage, you will want to make sure you are achieving reasonable growth, but also protect against large declines during a “bear” market that could delay your retirement. We’ll help you create an investment plan that is tailored to your needs, then help you implement it, so you can feel secure about the road ahead. Read more here. Once you retire, you will want to make sure your estate planning is in order. While we don’t practice law, we can help you establish practical estate planning objectives and have the appropriate documents prepared with the help of an attorney. Your investing focus will likely transition towards a balance of growth and income to keep up with inflation. After retirement, it’s crucial to avoid significant declines in your portfolio, particularly if used for current income. We’ll work closely with you to design an investment plan that bests support your lifestyle and stays ahead of inflation. Active management can enable us to better protect your portfolio during significant market declines. Read more here. During your late 70s, you may start to sense whether or not your investment portfolio will sustain you throughout retirement. We can help you make that determination, and if needed, develop a plan for utilizing your home equity as additional income. If you know that you will have more than need, you may want us to help you create a plan for gifting assets to loved ones or charities during your lifetime. During this later phase in life, your investment objectives will likely shift towards income and asset preservation. We’ll create an investment plan that balances your desire for income, safety, and growth. Active management can work especially well for investing in high yield bonds, providing a way to earn attractive income with modest risk. Read more here.